Stormwater Tanks – Modutank Inc.
Stormwater runoff is problematic in urban areas where structures, pavement, concrete sidewalks, parking lots and other large areas of impermeable surfaces prevent rainwater from naturally soaking into the ground. The result is increased volumes of storm runoff that are funneled into sewer systems, producing inordinate hydraulic stress on pipes and wastewater treatment plants equipment. Another concern is chemical and bacteriological contamination. 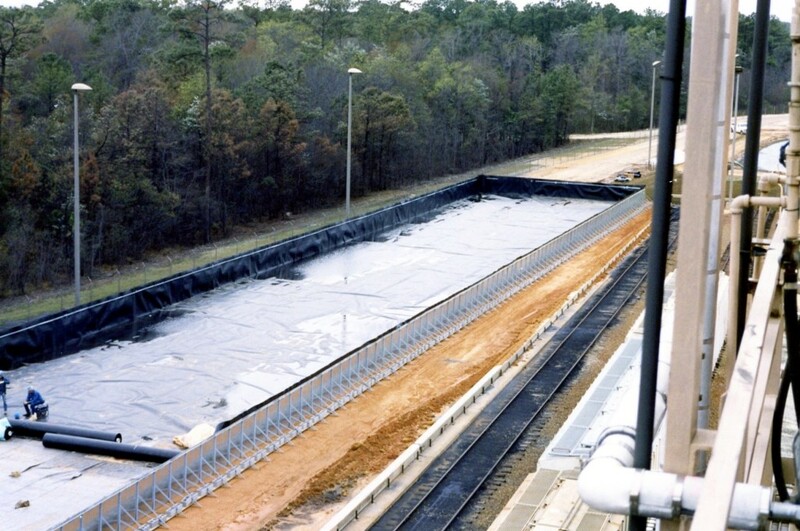 In addition, if runoff exceeds the sewer system’s capacity, untreated stormwater can infiltrate the sewer system, damaging commercial buildings, government facilities and private residences. Worldwide climate change has brought unusual conditions to many locations such as extreme rainfall whose peak flows could overwhelm existing sewer systems and cause flash flooding. The cost of replacing sewer lines is not only exorbitant, but also creates other problems, such as sewer construction zone traffic congestion. Stormwater tanks, in contrast, may be easily and quickly installed for temporary storage of excess storm water runoff. Modutank Inc offers several types of modular tanks for in-line and off-line retention and detention applications. They can be sized and shaped to fit existing sites, as well as meet required capacities from thousands to millions of gallons. 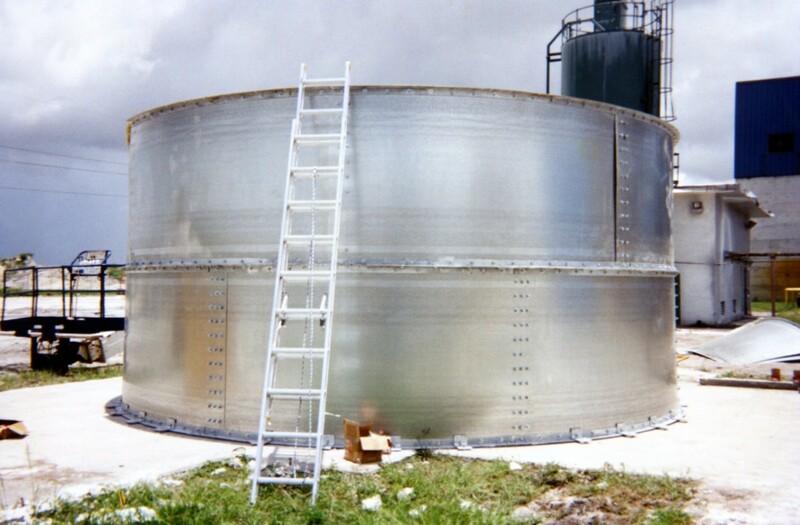 Since 1970, Modutank Inc. has offered a selection of storage tanks and secondary containment systems suitable for most storm water, water, chemical, fuel containment and seismic requirements. Composed of modular steel parts and fitted with various liner materials, our tanks feature rapid bolt-together assembly with hand tools. These water treatment tanks and storm water tanks can be installed free- standing on level, compacted surfaces or permanently anchor-bolted to concrete footings. Modularity assures a wide range of sizes and capacities. 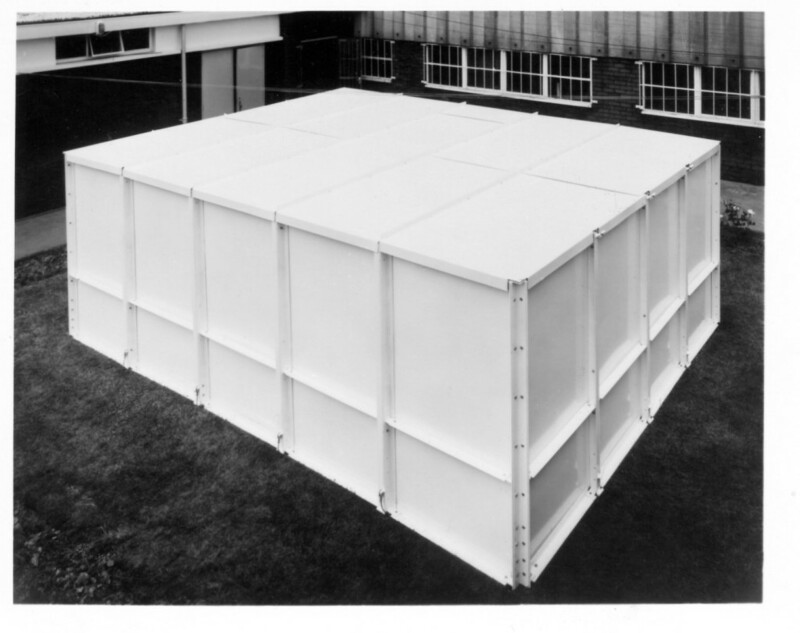 Furthermore, our flat panel tanks can be configured in square, rectangular or special shapes for irregular sites. Floating covers, steel covers, double liners, inlet and outlet fittings, leak detection, drains, vents and other ancillaries are available. Click here on Field Erected Modular Tanks to see which line of tanks is most appropriate for your stormwater holding tank requirements. For more information call us at (800) 245-6964 or complete our online contact form today! Contact us today: For more information about this solution as well as our other products, call us at (800) 245-6964 or complete our online contact form today! Click on the link below to get started.